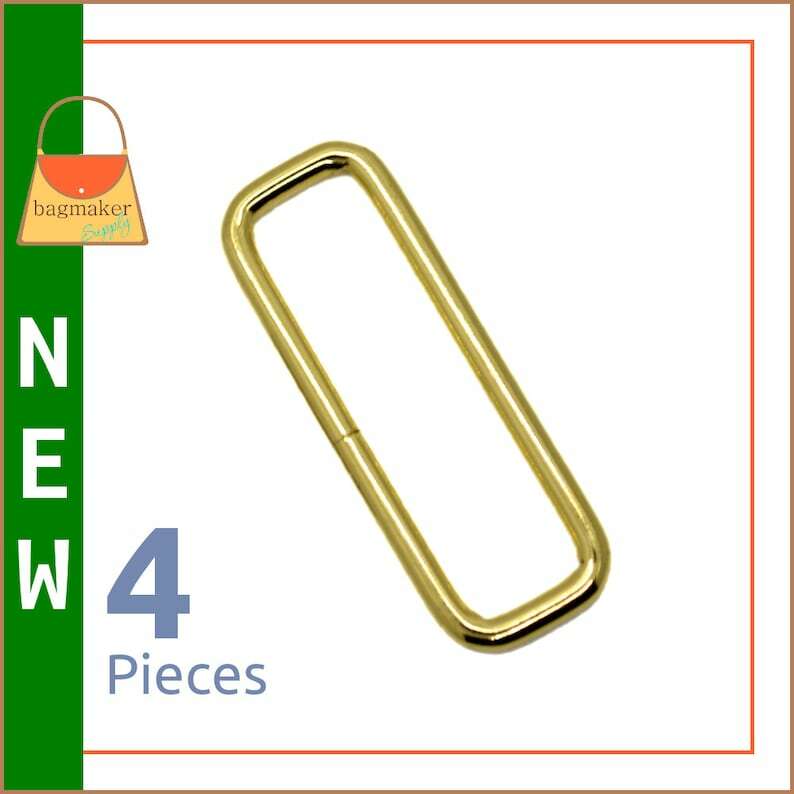 These wire, rectangular loops are great for purse straps. They are meant for a 2" strap. The inside measurement is 2" x 1/2" The metal is a substantial 4 mm thick. Brass finish, 4 pieces.